Michelle Mayo has both arms half covered in tattoos. Conner Kreider has a small phrase in Hebrew tattooed on his wrist and a rhino near his collarbone. Morgan McCloughan has a white feather on her left forearm and two pine trees on her right shoulder. 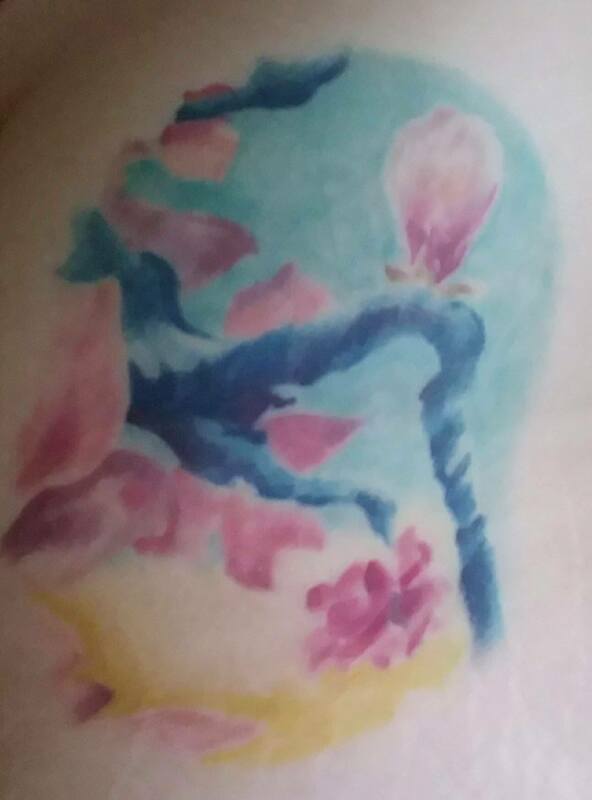 Alum Kaeley Osterman has a magnolia blossom inked on her side. Tattoos aren’t common on HU’s campus. Each of these people, however, got their ink for a reason — some to remind them of what they’ve been through, and some to keep themselves focused on where they’re going. Osterman only has one tattoo, but it means a lot to her. She got it in 2016, one year after her grandmother died. God, friends and family helped her deal with her struggles. The magnolia blossom reminds Osterman that she’s “strong and beautiful.” To this day, it still helps her get through tough times. McCloughan also struggled with depression. Every day, her mom would draw a feather on her wrist to remind her that her problems were light and something that God would take care of. When she turned 18, she got a feather tattooed on her left forearm to remind her of that. Her second tattoo is also family related. She and her brother got two pine trees together when he turned eighteen. “We are very different people, but we are rooted from the same place,” McClughan said. “Both of the tattoos are reminders of my family and the things I have gone through with them,” McCloughan said. 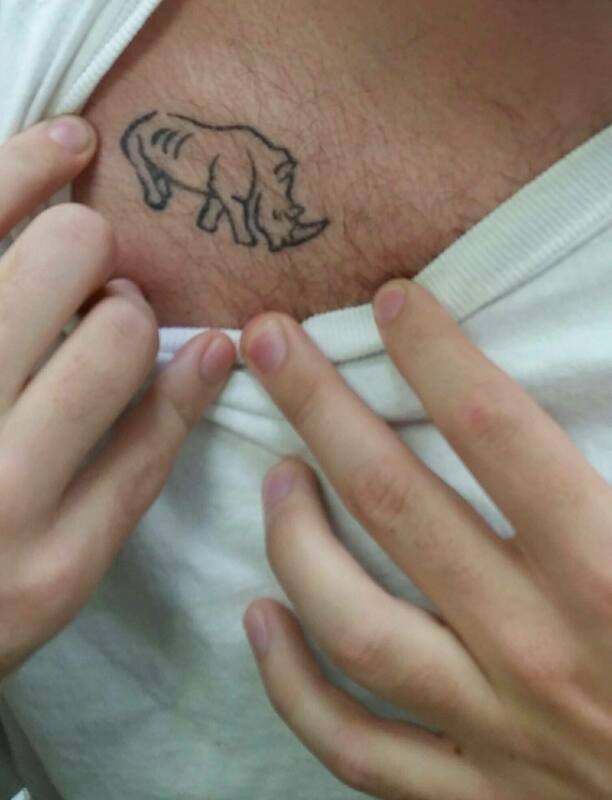 His second tattoo is a rhino. He had it done during his sophomore year and, interestingly enough, it didn’t originally have a meaning. After meeting a man who planted a church in Africa, however, he found a meaning for it. Mayo, a Marine veteran, has the most tattoos of all. Like many Marines, she accumulated a diverse collection of tattoos. Some are related to her service, but most of them found their way onto her skin because of hardships she experienced. A box on her upper left arm represents a lot of the anxiety and nervousness she felt when she was in the service. Another tattoo on her upper right arm depicts a pair of boots with a rifle and helmet in front of an American flag. Mayo got this tattoo after watching “The Pacific,” a TV show about Marines during World War II. Her latest tattoo is related to her old habit of self harm. It’s a series of lines down her left arm and was inspired by her wife. She gave Mayo an ultimatum —stop self harming, or she was going to leave.